The relatively young festival will again prove again why it’s worth all the hype during the summer. Not only the location, but the entire experience is labeled as simply beautiful. Because the festival has one gigantic stage, you – and the entire crowd – will be taken through a selective music program, filled with electronic genres of all sorts. From the moment you enter the resort of Praia do Relogio, you immediately know why the festival advertises so fiercely on it’s long stretched beaches and endless sea. During the day you can enjoy all the luxury of tanning, or take a dive alongside all of the performances. When the sun sets, the location gets an authentic vibe to it, during which the entire coastline is gracefully lifted by the mighty stage. Here you will find artists from different genres, including: EMD, house, drum and bass, future bass and hardstyle. The area is also easily accessible by public transportation, which fully adapts it’s last departure times to the festival. Ideal for when the non-campers among us. The RFM Somnii Festival takes place on the coast of Figueira da Foz, inbetween Porto and Lisbon. The area is known as a local seaside resort, which is also popular internationally. Figueira’s coastline may call itself one of the widest in Europe, which makes it possible to station the entire festival (including camping) on the beach. The average temperature during the festival is 20 degrees celsius. No too hot, but excellent for dancing into the night with a simple jacket. The region is is full of fishing areas, which are especially worth a visit around dinner time. When will RFM Somnii 2019 take place? 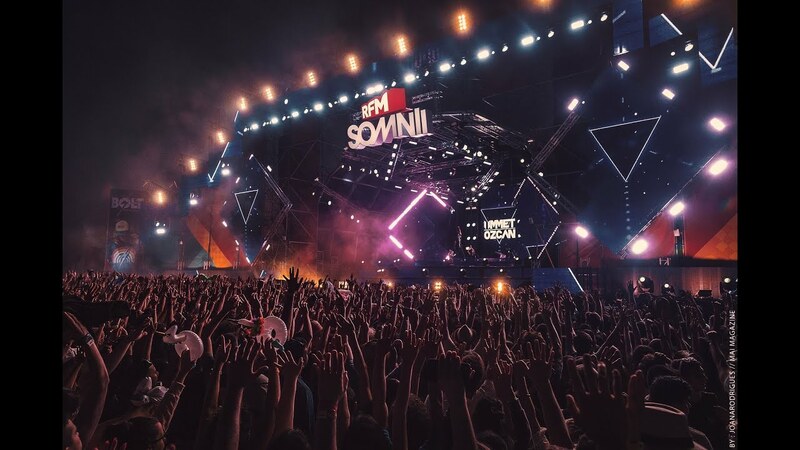 RFM Somnii 2019 takes place from 5 to 7 July. When will the festival site be accessible? A 3-day ticket entitles you to access the festival site from 5 July 12 noon. The campsite is open from July 7 to July 8. We kindly ask everyone to leave the campsite on July 8 before 4 p.m. The last performances are on the night of July 7 to July 8. Everyone must leave the festival site during the night. What is the minimum age to enter the festival site? The minimum age for the festival is 6 years old. It is recommended that every festival visitor under the age of 18 visit the festival with guidance. How can I pay on the festival site? You can pay with cash (euros) at the festival. At some bars you can also pay with a credit card. ATM machines are also present at the festival. In Portugal you pay with Euro. Portugal falls in time zone UTC +1 during summer time. This means that it is 1 hour earlier in Portugal than in the Netherlands and Belgium. What are the emergency numbers of Portugal? Do I need a passport or identity card for Portugal? An identity card is sufficient to travel to Portugal. Do I have to bring world plugs to Portugal? No, Portugal has the same sockets as in the Netherlands and Belgium. Can I drink water from the tap in Portugal? Most water can be drunk from the tap, unless otherwise indicated. Sometimes the water is slightly chlorinated, so it is better to get bottled water in the local supermarket.